If you are looking for a new career opportunity in Milwaukee dry cleaning, you came to the right place. Our Milwaukee Martinizing dry cleaning locations offer rewarding career paths in a variety of avenues, including customer service, store management, tailoring, shoe repair and so much more. Our Milwaukee Martinizing locations are looking for skillful, energetic and reliable candidates who are eager to learn and thrive in a new career path. After all, it is our dry cleaners who make us the best in the dry cleaning industry. If you are interested in becoming a team member at one of our 16 Wisconsin locations, email your resume to the address provided below. We look forward to hearing from you. Inquire RIGHT NOW about job openings in Milwaukee, Ozaukee, or Waukesha area Martinizing Dry Cleaning stores! 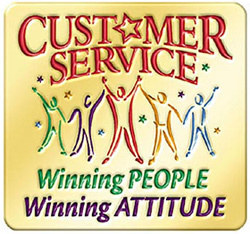 At Martinizing Dry Cleaning, we hire based on attitude, not experience. If you are an outgoing, responsible, friendly person we have a job for you. With stores in Milwaukee, Wauwatosa, Mequon, Grafton, Waukesha, Elm Grove, West Allis, Hartland, Whitefish Bay, Shorewood, Pewaukee, Delafield and Oconomowoc, we have a job near you. Contact our Martinizing Milwaukee area staff today to learn more about our career opportunities. Inquire RIGHT NOW about job openings in Milwaukee or Waukesha area Martinizing Dry Cleaning stores!